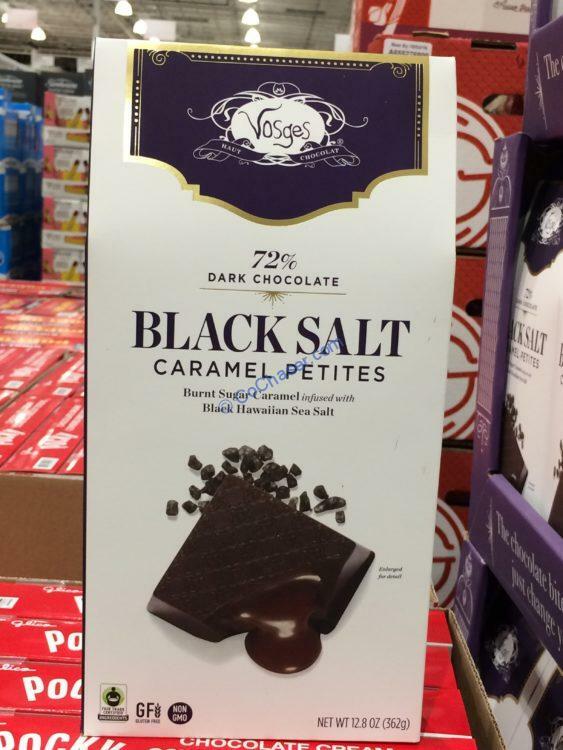 This is new Exotic Chocolate Petites in Gable Boxes. Liquid caramel bursts forth, coating your tongue in richness, when you crack through the chocolate shell of each bite-sized bonbon. Individually wrapped, bite-sized exotic chocolates in the most loved flavors await inside and ready to snack and share. Per serving size 3 bon bons (27g), contains 130 calories. For each serving, you get 9g total fat, 5g from Saturated fat, 2g protein, 2g fiber and 9g sugars.